Our client, age 22, was walking back to his car after an evening in Hermosa Beach. The bars had all closed and he needed to use a restroom. It was about 2:15 a.m. 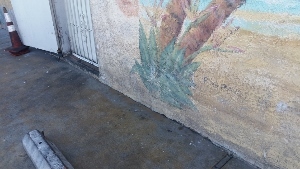 In 50 Words or Less: Hermosa Beach, client caught in alley, urinating on a wall, charged with misdemeanor public nuisance (Penal Code § 372), case negotiated to disturbing the peace (Penal Code § 415(2)) as an infraction. As he was walking in the alley parallel to Hermosa Avenue, he decided to relieve himself between two large trash cans, on a wall. As he did so, a Hermosa Beach Police car came around the corner and immediately pointed its white lights on our client. The police car was less than twenty feet away and our client quickly zipped up his pants, embarrassed to be caught in the act. The client, who lived in San Jose, was also very concerned about the legal consequences of his arrest, as he was graduating from college and entering a job that required a separate license from the federal government. He was mortified that four years of college might be wiped away because he could not be on any form of probation to accept the job he had hoped to fill. The Hermosa Beach police officer handed him a ticket with a promise to appear in the Torrance Superior Court in about two months, which the client signed. The ticket said he was cited for a misdemeanor and a bit of Internet research educated him enough for him to know that unless one accepts a jail only sentence, almost all misdemeanor plea bargains involve at least a year of informal or summary probation. This would be fatal to his occupational aspirations. The client then called Greg Hill & Associates. Greg listened to the client’s story and suggested he attend at least ten AA (Alcoholic Anonymous) meetings prior to the arraignment, as alcohol certainly was a factor in the need to urinate. The client also wrote a short essay about why public urination is illegal. The client then did do the twelve AA meetings as suggested and wrote the short essay. He provided it to Greg Hill before the arraignment. Greg then appeared for the client in the Torrance Superior Court for his arraignment. The complaint showed that the client was charged with a misdemeanor for violating Penal Code § 372 (“Public Nuisance”). Greg then showed the Hermosa Beach City Prosecutor the short essay and the AA sign in sheet showing that our client had completed 12 AA meetings prior to the arraignment. The City Prosecutor expressed his appreciation of this effort and stated he would amend the complaint to allege a violation of Penal Code § 415(2) (Disturbing the Peace – Making Loud Noise) as an infraction and that he would resolve the case for a plea to the infraction and a $50 fine. Greg then accepted this offer from the prosecutor. The client was very happy for this resolution, as he would avoid probation and preserve his career. The client was further pleased because the $50 fine, plus penalties and assessments, totaling a $308 fine, was about $1100 less than the fines and fees he would have faced if he had pled to a violation of Penal Code § 372. Such a charge carries with it not only a conviction for a misdemeanor and probation, but a minimum $250 fine, plus penalties and assessments that total $1,120. The advice to attend AA meetings and give Greg the proof was helpful for the client.